During the past four years, ECFiber, under its inter-local contract, has borrowed more than $7 million from predominantly about 450 local investors, connecting nearly 1,200 customers in parts of about a dozen towns, along 200 road miles of fiber-optic cable. Its customers include residents, businesses and institutions. The vast majority of the 24 towns in the ECFiber district are communities of less than 2,000 residents with a handful boasting between 4,800 to 10,000 people. Ward noted thousands of other residents still don’t have access to high-speed Internet. “The rate at which we (ECFiber) can grow depends almost entirely on capital,” he said. EC Fiber became a communications union district shortly after Vermont Gov. 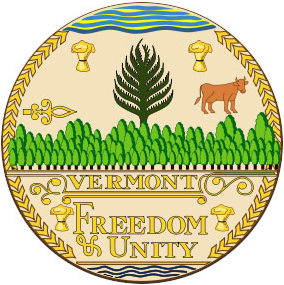 Peter Shumlin signed the new law on June 1, 2015. Currently, ECFiber offers the latest generation symmetrical Internet access and a choice of five speeds (from 7 Mbps to 400 Mbps) that do not vary by time of day or according to the weather - as well as phone service with unlimited long-distance calling in the U.S. and Canada, according to its website. Under Vermont’s communications union districts, the member towns can help facilitate the broadband networks with obtaining easements from property owners along the fiber-optic cable routes, including putting up poles and laying conduit. ECFiber’s union district board is comprised of one delegate per town with each community also able to send one or two alternate delegates to the board’s monthly meeting. Under the new Vermont law, a communications union district, such as EC Vermont Telecommunications, isn’t allowed to assess taxes for the initiative. (Note: This was also true for ECFiber when it carried out its operations under its inter-local contract.) A communications union district’s revenue come from subscriber fees. Currently, the ECFiber district is generating about $125,000 a month in subscriber fees, Thomae told us. Currently, while ECFiber is the only communications union district in Vermont, Thomae said he has had a few inquiries from other people in the state asking about the new governance structure. Monroe said the creation of the ECFiber network has given people in Vermont’s rural east central region an alternative to DSL service, which usually is poor at best. For people not connected to a high quality network, fast and reliable Internet service also can be a problem because the East Central region’s mountainous terrain inhibits satellite service and reception from cell towers, she told us.